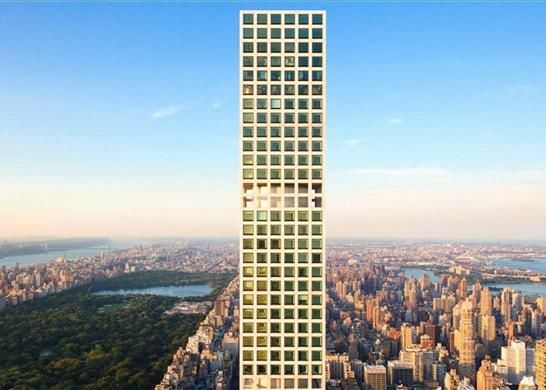 Located on Park Avenue between 56th and 57th Streets, 432 Park Avenue is the tallest residential building in the western hemisphere, designed by Rafael Vinoly. 432 Park Avenue offers residences with spectacular views of Central Park, the Hudson and East Rivers, Atlantic Ocean and many iconic Manhattan buildings. A prime location in the epicentre of Manhattan. The beautiful residences are designed by Deborah Berke Partners and epitomize elegance and sophistication. Residences feature 12 ½-ft high ceilings and large 10-ft by 10-ft glass windows. Building amenities include a private dining room with outdoor terrace, lounge, fitness centre, 75' swimming pool, conference rooms, theatre, valet, port cochere, concierge, and livery service. On-site model residence is now available for viewing. Immediate Occupancy Available.